I color the truth with funny, really it’s usually already there and I just pull it out and shine it up. Exaggeration is a beautiful thing to me, because well, I don’t want to lie but sometimes when the truth is a little stretched out–just a few areas mind you–it gets a little more interesting. Although, believe me, there are also times when I don’t even have to exaggerate one single detail. Like that time I accidentally bought my own pants back from Goodwill, the only detail I would have exaggerated was the actual size of the pants–expect I would probably do the opposite of exaggerate that and I don’t know what to call it. So, when I write about something, you can keep in mind that all the really important stuff, like our names and you know other things like that, are all totally 100% true. And no matter what, there was always some kind of morsel that sparks a story, so you can definitely know that SOMETHING happened. It’s like the time I wrote about all the m&m’s I ate and then I posted this little picture I made. I didn’t actually count how many m&ms I ate except that I ate the entire bag–and believe me, it was a party bag. It was in little spurts too. I quit eating them about six different times and then I would return to the kitchen for something (and sometimes that something would be m&ms) and then spend the next five minutes eating just one over and over again. Probably not 462 of them, though. It’s entirely possible that it was 549, but I just put 462 on the picture because I really like that number for some reason. Several days later, I posted this. 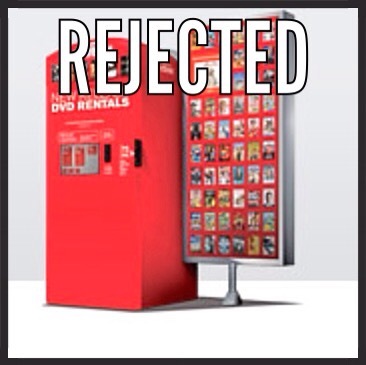 And Redbox actually did reject me–flat out said I couldn’t have my movie. This may or may not have been related to the 46 cent balance attached to my card at the time, but I don’t really remember going too far into detail about that. Seriously–do you people really need to know EVERYTHING? Ate 462 m&m’s…felt like puking all night long…my self-esteem is dwindling…my eating is totally out of control. Redbox rejected me…I have 46 cents in my checking account…the US Cellular people called and threatened to turn off my phone…just have to hold off two days until we get paid. Well, there’s the honesty behind those posts, and they aren’t all that funny. I think they are relatable though, because more people than we know suffer from the same things we all so often hide behind. My humor is sometimes a glass door to the troubles in my heart, but my intention is for my readers to see behind that and know they aren’t alone in their struggles or mishaps. Even if we battle different opponents we are all trudging through some kind of battlefield. Some fight to lose weight while others fight to gain it. Some fight for control while others fight to the need to control. Some fight shyness while others fight the desire for the spotlight. Yes I had 46 cents in my checking account that day, but some people had 46 million in theirs and had just as much to complain about, or something even worse. Self pity can drown out your blessings if you let them, but I honestly do believe that our weakness is what strengthens us in Christ. For me, humor is meant to bridge the gap between struggle and appreciation, and in it I draw closer to God. It is also meant to connect with you. You might not want to eat 462 m&m’s but you can identify with my weakness because we are all weak, and maybe if I show you mine then you can start to face your own. God reaches out to others through the struggles we are willing to share, and there are different ways to share them. Humor isn’t always appropriate, and a social media broadcast isn’t either; sometimes it is just the person right beside you who needs to hear your story. And sometimes you need them hear it. As for me, I will continue to share life through silliness whenever I can but I will TRY not to exaggerate quite so much. For now though, I gotta go, a rogue sock from the laundry pile just tried to eat the kids again.